With its small concealable tanto-blade, the Drumfire, from designers Pat & Wes Crawford of West Memphis, Arkansas, makes an ideal defense tool that's also ready to do battle with all types of general cutting jobs. 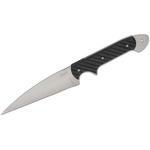 And it's crafted from thick steel so that it can handle the beefy projects of larger knives. It all perfectly resonates with the kind of blade the Crawfords had been hoping to build for quite some time, a small design with a big-knife feel. When you want big blade power in a compact knife, reach for the Drumfire. Your heavy-duty tasks have been warned. Designer Ray Kirk has put his spin on the concept of an emergency strap cutter with his KERT (Keyring Emergency Rescue Tool). Now you can have a razor sharp seatbelt cutter always at the ready hanging on your key ring. 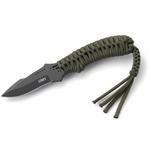 This nifty little tool also excels in cutting webbing, or fibrous materials, when needed. It features a screwdriver, oxygen tank opener, bottle opener, and 1/4" hex wrench. This is a pocket sized tool that is designed to make your life easier, maybe prevent a headache or two, and perform necessary emergency tasks. 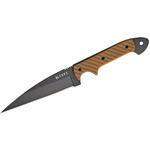 The KERT comes with a form fitted vinyl slip-sheath. Don't be caught unprepared, stay safe, and put one on your keychain today! 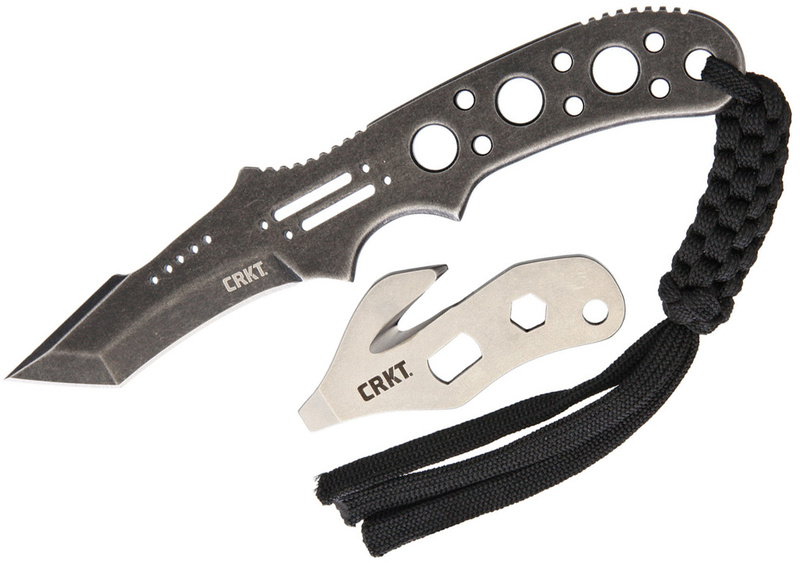 Hey, I wanted to share "Columbia River CRKT 2031KERTC Special Edition Black Stonewash Crawford Drumfire Neck Knife and KERT Keychain Tool Combo Pack" with you from KnifeCenter.